Low income families in Tulare County are faced with critical financial decisions every day. If their car breaks down, what will they have to sacrifice in order to fix it? If their water bill goes up, will they have enough left over to buy fuel even if they do get the car fixed? Budgets become very rigid, families are forced to cram into smaller living spaces or even share them with other families. In many cases, children have to skip meals. But there is one bill that has to be paid above all else. No matter what your situation is in life you need to pay your water bill. It is essential to keeping your family fed, clean and healthy. Access to clean water is even more critical to overall health in the midst of a drought. It’s why CSET, a local community-based non-profit, created the Drought Water Assistance Program (DWAP). Last year, the program partnered with 17 water utility districts, including Farmersville, to assist 237 households in Tulare County whose residents were behind on their water bill payments and shutoff of services was pending. The program also provided water conservation education to help them lower their bills in future months as they attempted to catch up on payments. But that assistance may not be available this year to Farmersville residents, and if it is, it may not be available in time to help families this summer. 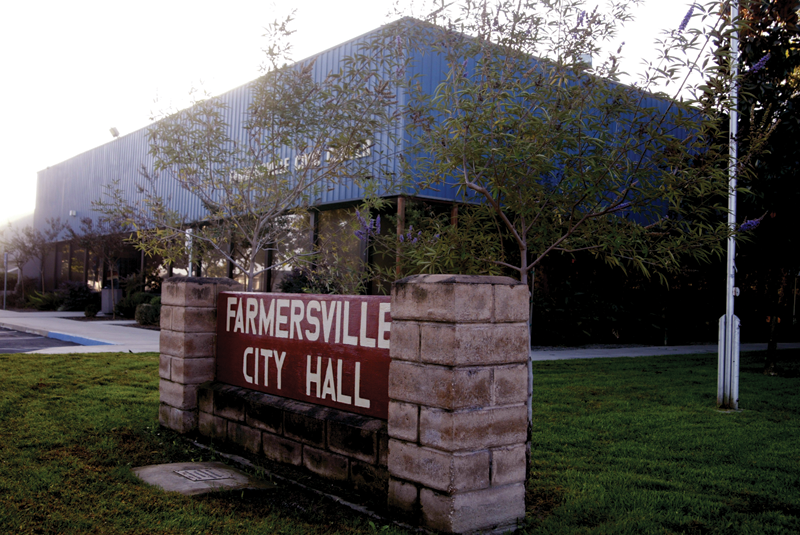 At its June 22 meeting, the Farmersville City Council failed to extend an agreement with CSET to continue providing the drought-related assistance. CSET notified the City on May 18 that it had received additional funding for the program and wanted to extend its partnerships to assist income-eligible families. Longtime city resident Don Mason expressed his opinion on the matter which a couple of council members seemed to share. A motion to approve the extension of the program failed 2-2 with Mayor Greg Gomez and Mayor Pro-Tem Paul Boyer voting in favor while Councilmembers Matt Sisk and Don Rowlett being opposed. Council member Leonel Benavides was absent, creating a deadlock and falling short of the needed 3/5 vote. The council could still approve the extension at its July 13 meeting when it will again be listed as an action item. -The City Council approved an employee contract with John Jansons who will take the position of city manager in August. Jansons said he was very excited to get to work for the City. (See story on Page A1). -The council also recognized the hard work of some local youths. Team KO Kids Wrestling, Andrew Juarez, Sheshell Renteria and Thomas Benitez were presented with certificates by the council. A representative from District 26 Assemblyman Devon Mathis was also on hand to give praise to the youth. Team TKO coaches Danny Valdovinos, Anthony Torres and Thongseng were also recognized for their time and effort with the youth. Team TKO is located at 448 N. Farmersville Blvd. and can be reached by calling 804-3400. “If you are four years old or older, come join us,” said Valdovinos. -Former city council member Paul Jarman approached the city council about the planned destruction of old city documents. Jarman was concerned that documents pertaining to the Jerimah Trice embezzlement case may be destroyed. City Attorney Moses Diaz assured Jarman that the city is working with the District Attorney’s Office and no documents pertaining to the case would be destroyed.